Celebrate this Halloween with a festive cocktail. Rather than turning to the classic and timeless lime margarita, try your hand at making a pumpkiny margarita. Whether you want your drink to taste like a fresh pumpkin piece or you want it to look like a jack-o'-latern, there are a lot of options. Find out which works best for you this year, by trying out multiple pumpkin margaritas in your frozen concoction maker. Invite a few of your friends over for an impromptu Halloween party! The easiest way to inject a little seasonal spirit into your favorite cocktail is with the help of pumpkin spice or pumpkin-flavored liqueurs. Typically creamy, just a small amount of these can go a long way. Just add a shot or two along with some tequila, orange liqueur and lime juice. Some people opt to add an egg white for extra frothiness. Enjoy a tasty fall cocktail, jam-packed with pumpkin. Did you know you can use real pumpkin in a pumpkin margarita? Just add either fresh or canned pumpkin puree into your frozen concoction maker's blender jar for a true pumpkin margarita. This way works best for a large batch of frozen margs that you're planning to share with friends. Consider serving with a ladle in a large scooped out pumpkin! If you prefer the tasty spices to the actual pumpkin puree, feel free to incorporate those into your drink. You can either use a small amount of pumpkin spice or pumpkin pie spice, or you can mix the spices yourself. Typically pumpkin spice is made with cinnamon, all spice, ginger, nutmeg and cloves. In addition to liqueur, there's plenty of flavored liquor too. Look for a pumpkin-flavored vodka to take your margarita up a notch. It won't just add a little pumpkin flavor, it'll give it a kick as well. Marmalade, similar to jam, can also be used to improve your margarita. 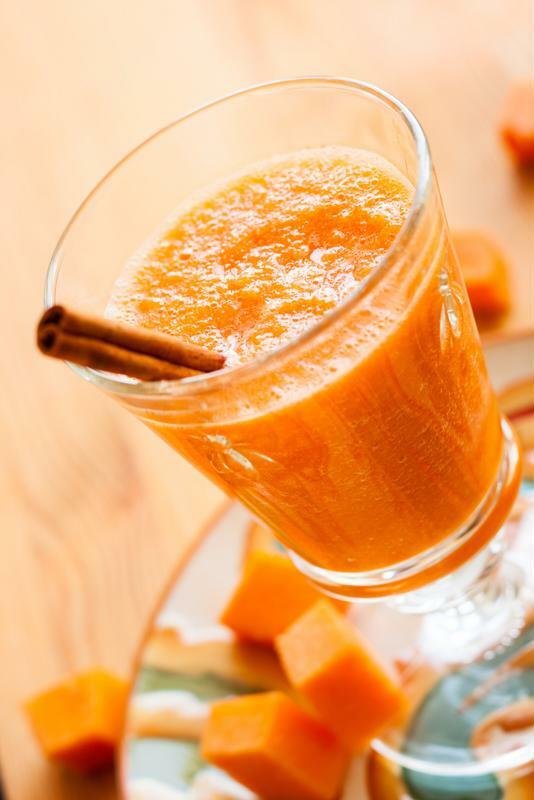 This nonalcoholic ingredient will add a little pumpkin and a whole lot of sweetness. Use it sparingly and enjoy the results. There's no wrong way to make a pumpkin margarita. Try out a few of these suggestions and find which one you like best.